A consultant is the person who offers advice regarding the management or the marketing strategies of a company. Corporations, companies both big and small, know the organizational value of a good consultant; that is why, when it comes to hiring a consultant, they impose high standards in gauging an applicant’s eligibility for the job position. 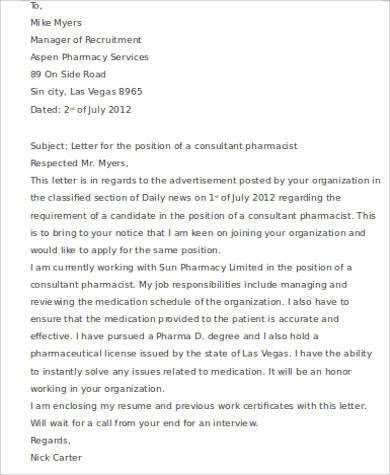 So if you are a newbie consultant or a very experienced one who is looking for greener fields to plant roots on, then you need to have a cover letter in hand as you apply for the consulting job that you want. 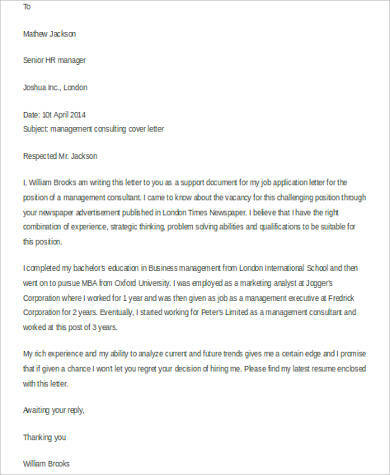 To help guide you in your cover letter-writing, we have collected a variety of consultant Sample Cover Letters that are available for free download. Can I Perform a Consultant’s Job Functions? Make sure that all management structures are appropriately handled and all employees are aware of their job functions. Collect data and information about different variables in the company operations and use the gathered information in creating analysis to be presented as a research study regarding the company’s areas of strengths, weaknesses, and opportunities. Assure that all the activities of the company are well planned to assure the growth of the operations and achievement of the objectives of specific business activities. Identify the problem areas of the company and make sure that proper plans are made for these problem areas not to be the causes of delays of operations. Develop the policies and procedures being followed by the company. 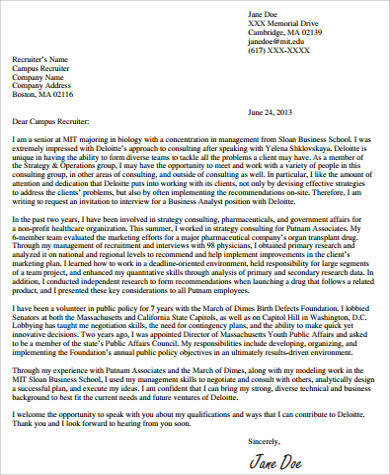 Aside form consulting cover letters, we also have Admissions Counselor Cover Letters that are also available for download. During the job application process, there is a duration of time between the initial interview and the final interview. 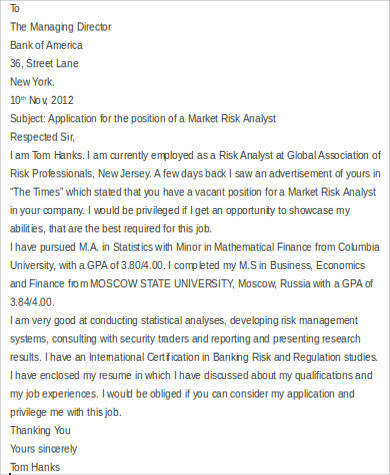 It is during this time interval when a recruiter or employer will make his final assessment on your qualifications. 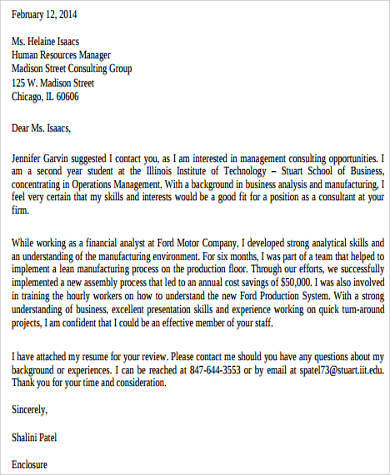 Whether you performed well in the initial interview or not, it is always best to make up for it in your cover letter. 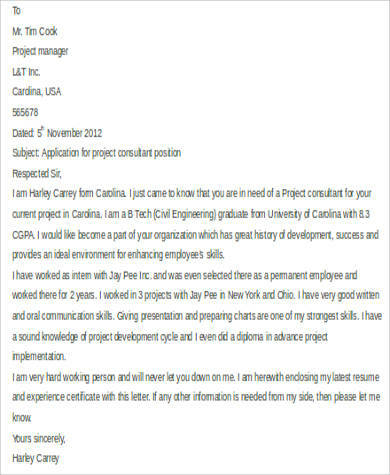 A cover letter gives you the chance to elaborate more on your positive qualities with the benefit of having presented such elaboration in a clear and understandable manner. Compared to an interview where you are made to answer on the spot, in the cover letter, you actually have the time to reflect on your thoughts and translate your thoughts carefully. 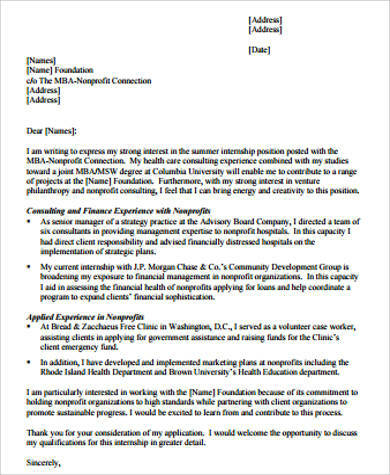 For more cover letters, you can check out our Internship Cover Letters.